Exceptional quality and unparalleled taste. For the past 30 years Kolionasios family has been making the traditional Greek Baklava, using the original recipe that they inherited. 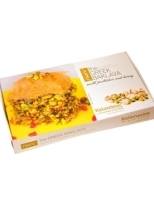 The value of trandition and the comparative advantage, which is the preparation of baklava by hand, contribute to the family’s effort to produce the best baklava. KOLIONASIOS... traditionally next to you! Traditional gianniotika siropiasta made with the authentic recipe. A dedicated place of production with strict quality data and total respect for the environment is always prepared to produce sweets on real, fresh, regional ingredients and insuperable tastes available at our stores as well as at many pastry shops in Greece and abroad. 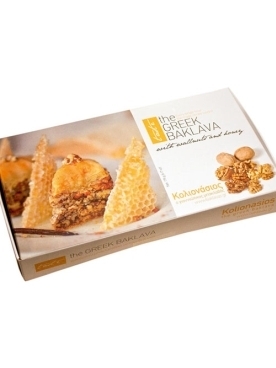 We are devoted to traditional baklava, a unique regional product. 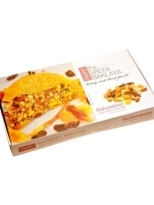 Every passing day we do our best to make it purer,tastier like our grandmother used to with her magic recipe! We cherish this recipe to date! Every single time we yearn for the traditional gainniotiko baklava Kolionasios. For every single time the magic recipe works! It is when the Ioannina tradition and the ardent wish of our grandmother coupled with the absolute quality and the modern infrastructure that makes the taste simply unforgettable! Kolionasios… the sweetest brand offering unique lingering tastes for 20 years now. Giagia Xanthi’s recipeis faithfully followed up to date. It is indeed her that stands over everyone to make sure that her baklava recipe “worked” again today. The traditional Greek taste, our national pastry enters its new era…The new gourmet presentation of our traditional Greek Baklava is now a fact and for sure can impress your eyes and surprise you with its taste. You will find it in selected restaurants and you will be amazed by the innovative presentation on you plate and the creativity of the talented pastery chefs that created "the gourmet side of baklava!"